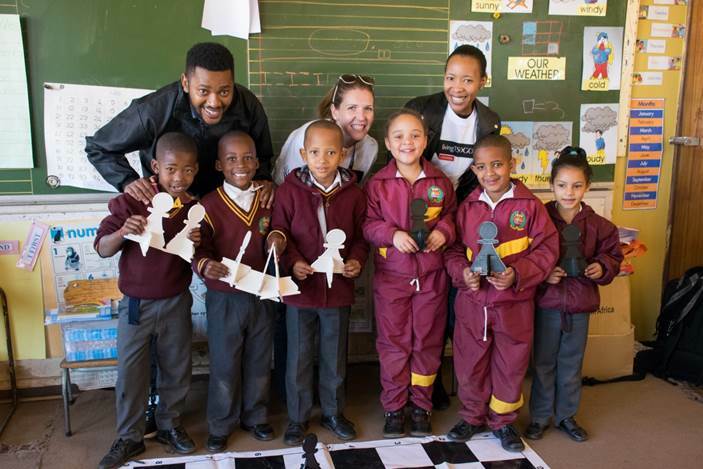 The International Day of Chess was celebrated with fun chess games and lessons by Silverstar Casino’s Tsogo Sun Moves for Life programme at nine West Rand primary schools, from 25-28 July. The International Day of Chess, under the auspices of the World Chess Federation since 1966, traditionally falls on 20 July, and was celebrated by the pupils on their return from school holidays. Nationally, Tsogo Sun Moves for Life operates in 50 schools around the country, with 19 549 participating learners, 543 educators, and 17 tutors from the local communities. The programmes are sponsored by seven of Tsogo Sun’s casinos. Silverstar Casino has been sponsoring the chess programme in the West Rand for four years in the nine primary schools, accommodating 4 765 children.